This spacious 3-bedroom 2-bathroom single family home in the heart of Encino won+GGt last! 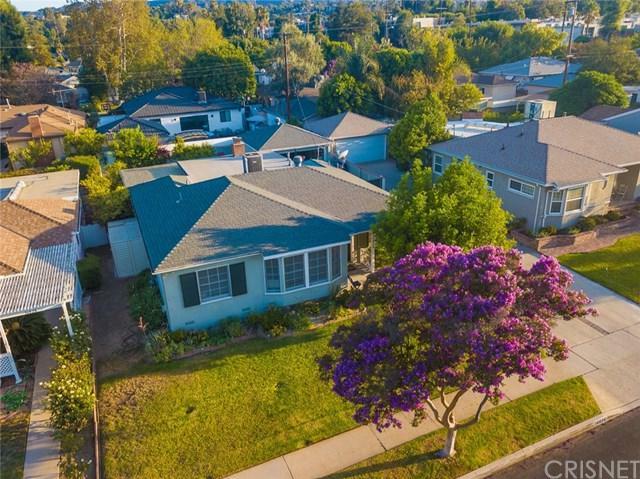 South of 101 FWY and a few blocks North of Ventura boulevard, this house is located in a cul-de-sac close to Encino+GGs finest dining and shopping. It has an oversized living room overlooking a large backyard with automated sprinkler system housing a luscious yard with orange, lemon and peach trees. It has plenty of storage with a spacious garage and a shed converted to a playroom. This home was recently remodeled featuring granite countertops throughout the kitchen and bathroom, tile floors in the kitchen and bathrooms, hardwood floors in the dining area and bedrooms and carpet in the living room. The living room displays a stack-stone fire place and French doors overlooking a covered patio. Not to forget central air, heat, strong water pressure and a whole house fan that gets your home cool in minutes. The house gets great natural sunlight and features updated recess lighting and smooth ceilings. Kitchen includes GE appliances side-by-side refrigerator, microwave, stove, and a dishwasher. It also has window blinds, updated fixtures and ceiling fans. This is a move in ready property in a friendly community that is ready to be called your home. Sold by Jeffrey Fischer of Realenomics,Inc..